Randy Weinstein comes by his passion for melons naturally. His dad, Seymour, met his mom on a watermelon buying trip to Florida and the family’s 85-year-old “house” at the Ontario Food Terminal is now the country’s largest melon importer. “I sell happiness,” says the third-generation specialist, who took over Canadian Fruit and Produce with his brother, Steven, and brother-in-law Rob Piccone after his dad retired in 1996. 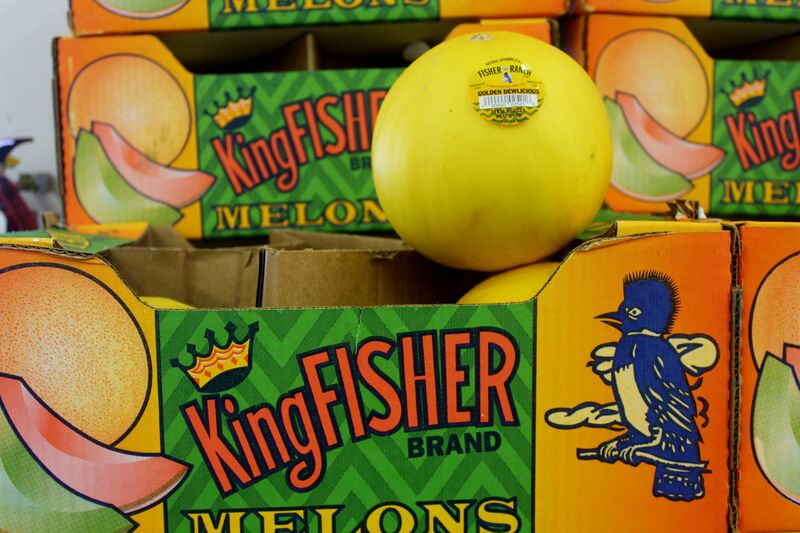 On his chilly showroom floor, more than a dozen melon varieties vie for a taste, stacked in boxes advertising their California or Arizona farms. All would make a healthy, refreshing low-calorie snack or elegant appetizer on a hot summer day. This week, they’ll be joined by local watermelons from a 350-acre patch in Delhi grown by a partner. His current favourite, the Kandy Lemondrop, boasts bright gold netted skin and sweet green flesh that tastes like somebody squeezed fresh lemon juice on it. Another hot melon is the football-shaped Hami. Beloved for centuries in China, this sweet golden melon with salmon-coloured flesh offers its own surprise — a refreshing crunch like an Asian pear. Weinstein began importing U.S. Hamis for Toronto’s Asian community and has watched it go mainstream. 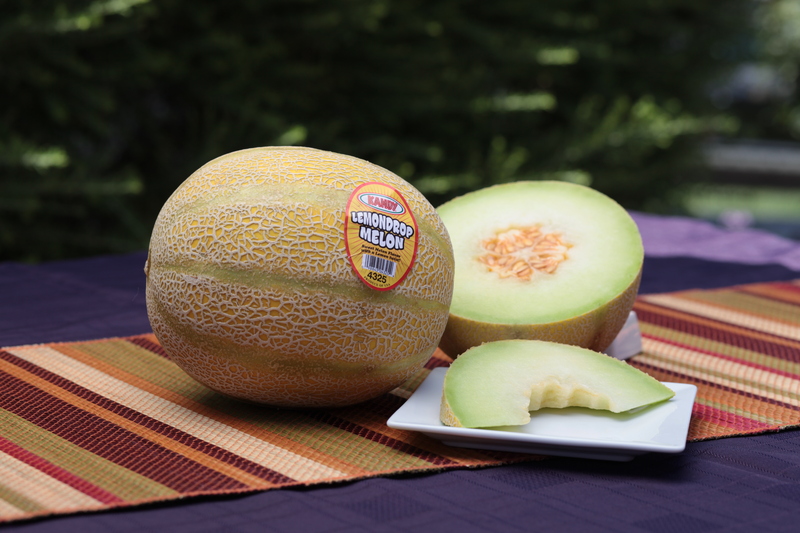 Newer melon varieties tend to be consistently sweet and ready to eat with a longer shelf life, he says, but they’re pushing out old favourites such as casaba and Persian. The crenshaw is also losing market share. Weight in at four kilos, this pale melon with the pointy end is superb draped with prosciutto and its fine-textured flesh practically explodes with juice in your mouth. Yet Weinstein says it’s too finicky for today’s consumers, ,who won’t wait until the skin turns bright yellow. Once ripe, it deteriorates quickly. The hits keep on coming, with a deeply-flavoured heirloom cantaloupe and a succulent organic honeydew, both from California, chased with a super juicy Golden Dewlicious honeydew, a monster yellow canary melon with orange-tinged flesh and an oblong Santa Claus with dark green streaked skin and a mild flavour. “You didn’t try the orange honeydew!” says my host, pointing to a lone box. Alas, my taste buds have had enough happiness for one day. 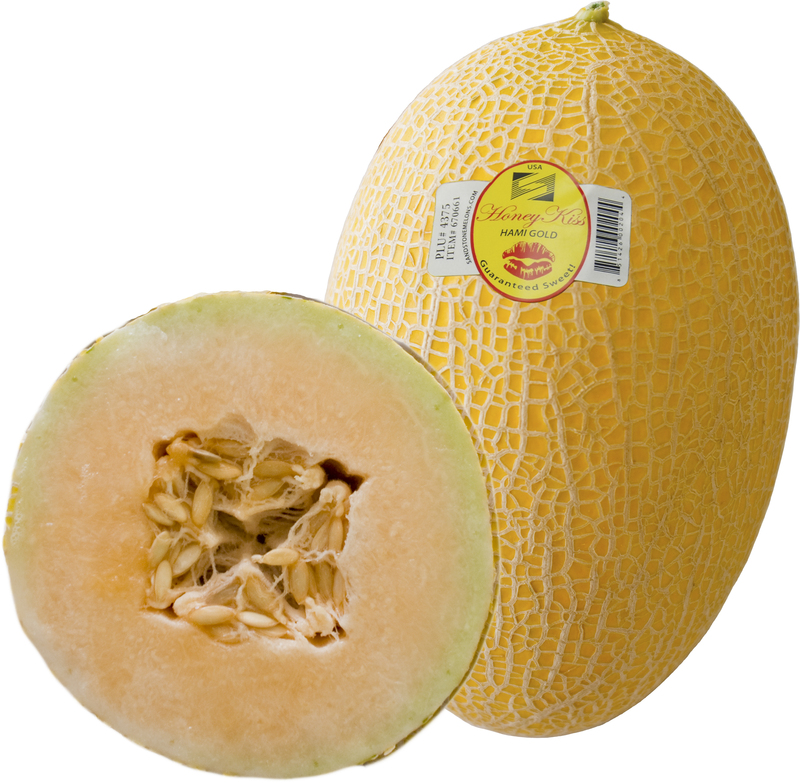 Melons, from the cucumber family, were first cultivated in the Middle East. 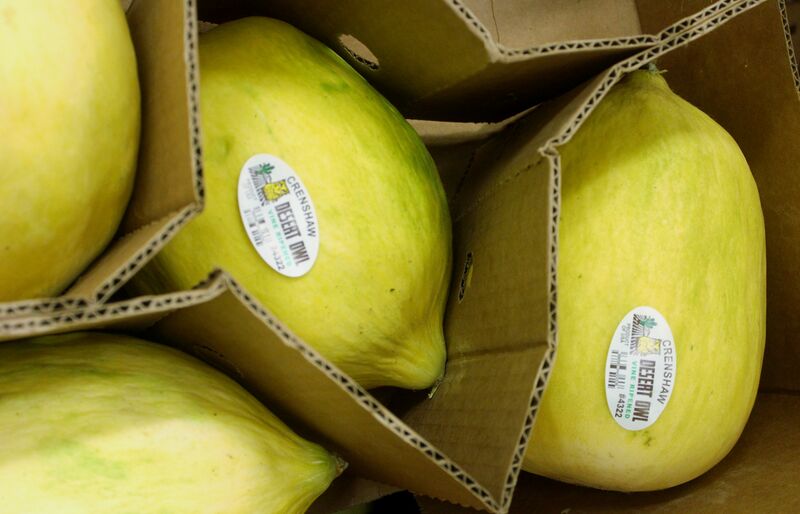 Specialty melons are imported year-round. The U.S. season runs from about May to October. 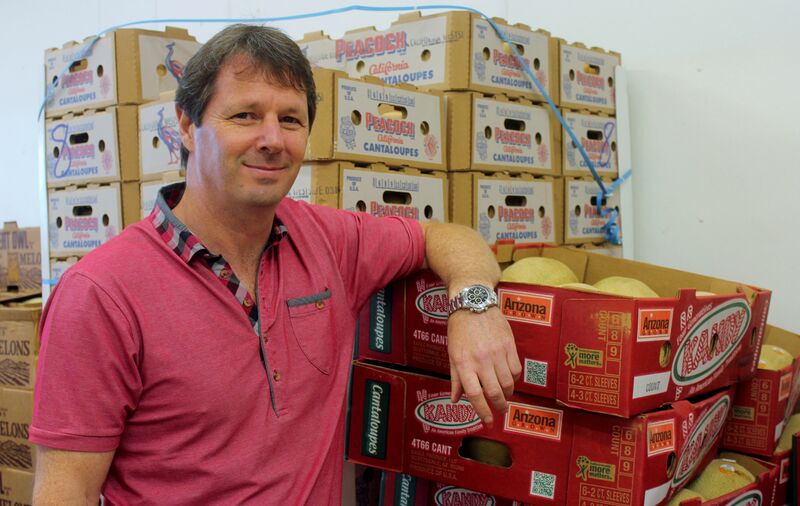 Canadian Fruit sells to Longo’s, Highland Farms, Pusateri’s, Summerhill Market and more. Choose evenly-shaped melons heavy for their size with no bruises, cracks, or soft spots. When picked ripe they should be ready to eat; no need to prod the stem end. To choose a watermelon, look for a yellow patch where it lay on the ground then slap the side and listen for a reverberating drum roll. If you hear a dull thud instead, try another one. Store melons on the counter for a few days then refrigerate up to a week. To keep melons tasting fresh in the fridge or on the counter, cover with a wet paper towel. “It will taste like you just cut it,” Weinstein says. Since melons grow on the ground, run cool water over the skin just before cutting to remove any surface dirt or bacteria. To serve, cut melon in half lengthwise, scoop out seeds and cut off rind. Slice, cube or cut into balls with a melon scoop. Remove from fridge an hour before serving. Freeze melon cubes in an airtight container or in heavy duty freezer bags. Great for smoothies. Got rind? Hollow out a watermelon or cantaloupe half and fill with coloured melon balls. Pickle watermelon rind or shred for slaw. Juice: Add sparkling wine or water to watermelon juice for a delicious punch. Kebabs: Alternate colourful melon chunks on bamboo skewers. Refrigerate until use. Melon martini: Shake 2 oz juice from a Lemondrop melon with 1 oz vodka over ice. Garnish with a melon ball. Salad: Toss cubed watermelon with cherry tomato halves, crumbled feta and chopped basil. Drizzle with olive oil and lime juice. Salsa: Toss diced melon with lime juice, cilantro, jalapeno, salt and pepper to top grilled fish. Skewer: Wrap a melon cube or ball with a strip of prosciutto and skewer on a cake pop stick. Or drape prosciutto over a melon wedge. Smoothie: Purée melon chunks with a banana, fresh berries and yogurt. Soup: Purée melon with orange juice, lime juice, minced ginger and shredded mint. Serve chilled with a dollop of yogurt. 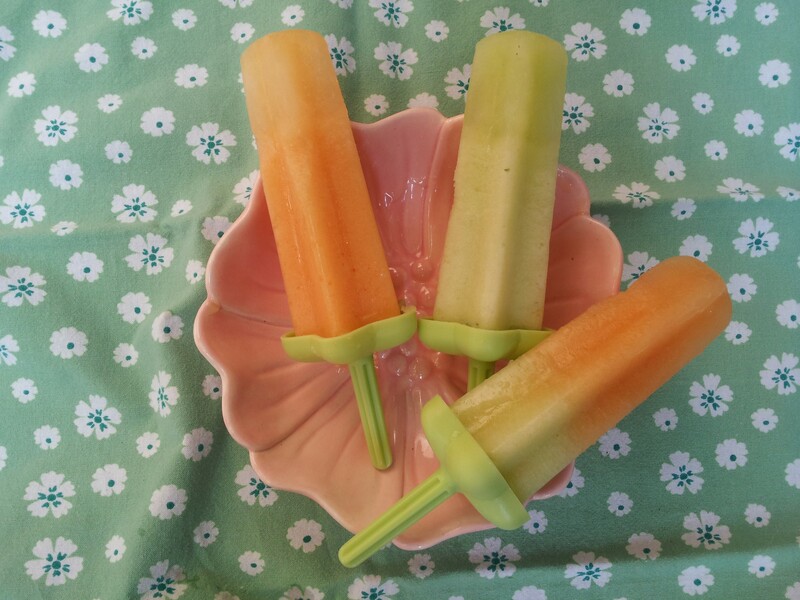 To make two-tone pops, use half green and half orange melon and blend separately. Place one colour in mould, freeze 30 minutes then top with second colour. In small saucepan, heat sugar and water 2 minutes, until sugar melts. Cool. In blender, place melon, lemon juice, mint and cooled sugar syrup. Pulse until smooth. Pour into a measuring cup, stir well and slowly pour into 6 to 8 Popsicle moulds. Freeze at least 4 hours. To unmould, place pop briefly under hot water to loosen.